Did you know? One organ donor, on average, can impact eight lives. One single organ and tissue donor can save or improve the lives of more than eight people - be it by restoring their eyesight, improving damaged tissues or helping restore vital functions. Here in the UAE, you can become an organ donor in life and in death. Anyone in the UAE, regardless of their nationality, can become a donor or recipient of an organ during transplant surgery. 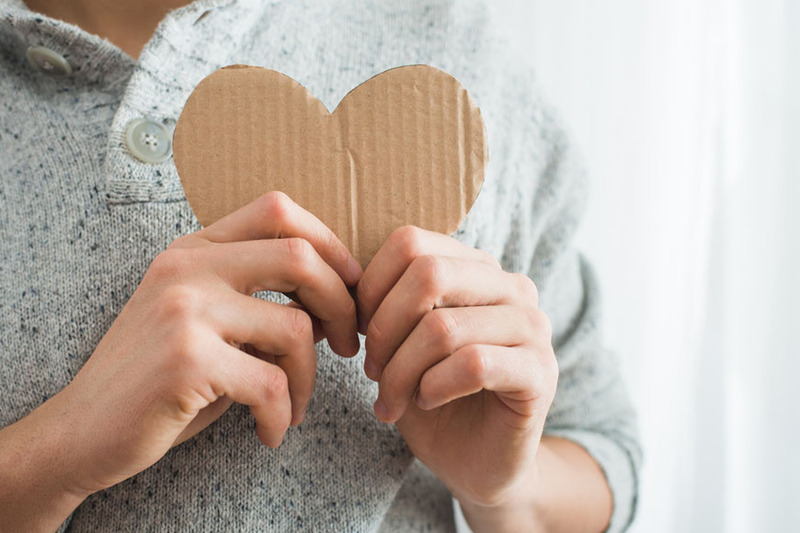 In January 2019, the UAE's national organ donation programme was boosted with the launch of a deceased organ transplant digital registry. Named 'Hayat', the registry allows both UAE nationals and expatriates to express their wish to become an organ donor after their death. Those wishing to register for organ donation only need to download the free-of-cost application on their smartphone and sign-up. Launched and overseen by the Ministry of Health and Prevention (MoHP), Hayat makes it easy to register as a donor in the UAE when deceased. Once you have downloaded the Hayat application, you are required to fill in your details such as name, age, mobile number and Emirate ID number. This is the first step to indicating your wishes to donate an organ after your death. You are then sent an email to the inputted address directly from the Hayat app to confirm your interest. Your details, including your EID number, are registered only when a positive response is responded with to this email. You can download Hayat from the Apple Store or Play Store. For the deceased, it is not permissible to remove an organ unless the donor’s wish is conclusively confirmed before death and formally documented either by the notary public or through the Emirates Identity card. Additionally, organ removal can only be done following confirmation of death in line with the Ministerial Decision No. 550 of 2017 Concerning Requirements for Determining Death (PDF in Arabic here). Adults wishing to make living donations can do so in the UAE. You can choose to give an organ - like a kidney, or part of an organ like a liver - to someone in need. To become a living organ donor, you or the individual considering must be legally competent in making the decision. The person should unconditionally express that they are donating their organs by their own free will, and it should also be confirmed from an authorised medical committee that no harm can fall on them from the donation. Donation by living donors is restricted to relatives within the fourth degree and couples married for at least two years. Living donors can unconditionally backtrack on their decision at any time; however, they may not recover a donated organ once it is removed. Did you know? It was only in 2016 that the UAE passed a law allowing organ transplantation from living people and the deceased, which provided a huge relief to patients waiting on organ donation lists across the country. Decreed by Presidents His Highness Sheikh Khalifa bin Zayed Al Nahyan, the law has since regulated the transplantation of human organs and tissues, which help to save many lives and restore essential functions for many otherwise untreatable patients. The same law also ensures that the identity of both the donor and recipient must remain confidential. Federal Law No.51 of 2006 on Combatting Human Trafficking Crimes stipulates under Article 1 that the trafficking of human organs is strictly prohibited. This includes all forms of sexual abuse, involuntary servitude, mistreatment, coercion, and abuse of the workforce, as well as illegal trading in human organs. There's still a long way to go in order to establish a functioning, efficient organ donor database and network for medical professionals in the UAE, and until now, only the initial phases of improvement have been launched. But there are plans to enhance the registration process, which will see registered individuals contacted by their nearest hospital followed by the introduction of artificial intelligence (AI) to help match donors with recipients based on HLA (Human Leukocyte Antigen) matching and DNA verification. Once these enhancements are completed, there are plans to launch a second AI-based project, which will be launched by health ministries across GCC countries - the Smart Health Card. As we've mentioned above, one donor can impact over eight lives. One figure that helps to give a rough idea comes from the United States of America from 2014, whereby a staggering 29,000+ transplants were made from just 14,000 donors. Organ donation does not discriminate, anyone can be a potential donor regardless of their age, race or medical history. Professionals review medical histories to determine whether an individual can become a donor, but with recent advances in transplantation, more people can donate than ever before. There is no cost to a donor's family for donating organs and tissues. In fact, the cost of a transplant is covered by the UAE government.